I have another Crafty Scrapper DT project to share. This time, I had some beautiful papers from Authentique’s Classique Beauty collection to play with. The sunny yellow is perfect to put winter behind us and welcome the sunny spring weather. 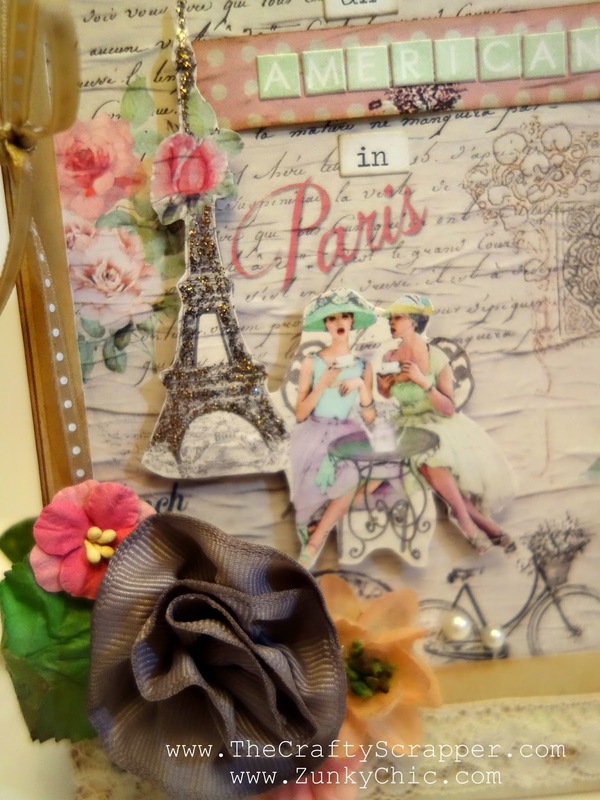 I made a fun card using the Authentique papers and some embellishments. I gave the banner dimension by adhering it with pop-dots. The added texture of the wood banners helps break up all the patterns. This Saturday, I will be participating in The Crafty Scrapper’s 10th Anniversary Make and Take Celebration. It’s a fun birthday card featuring Crate Paper “Confetti” papers. The fun technique is using Distress Ink to dye modeling paste, which I then stenciled onto the party hat. Check out The Crafty Scrapper’s website and blog for photos of the other projects. Get your tickets now, and I hope to see you there! Today I’m sharing my first project as part of The Crafty Scrapper design team! Please take a minute to visit their blog and check out all the beautiful projects the team has been working on. I created a mini album for a trip to Paris my husband and I took a little while back. 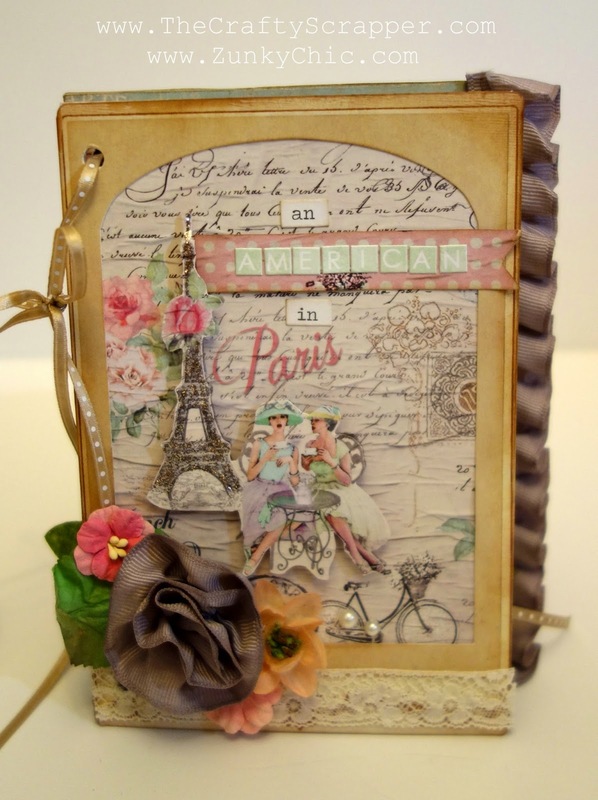 I used papers from the Fab Scraps Love 2 Travel collection. These papers are so pretty and feminine, and so different from the usual travel collections. I also used papers from the new Bo Bunny Carnival collection. I used a Tim Holtz Idea-ology Cabinet Card for the base of my cover, and embellished with flowers, including a rolled ribbon rose. A touch of vintage lace finishes it.